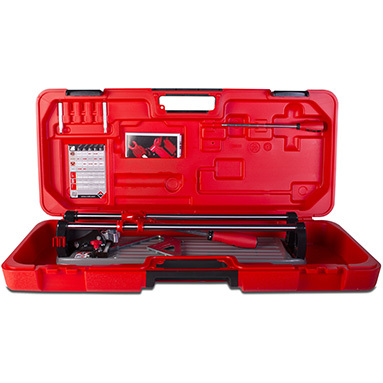 Rubi Cutter Maintenance Kit - ONLY £6.99 - SAVE £1! SPECIAL OFFER! RRP: £191.85 (+VAT). SAVE £36.86! 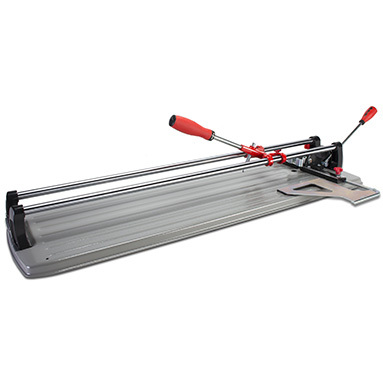 Rubi TS43 MAX professional manual tile cutter (grey). 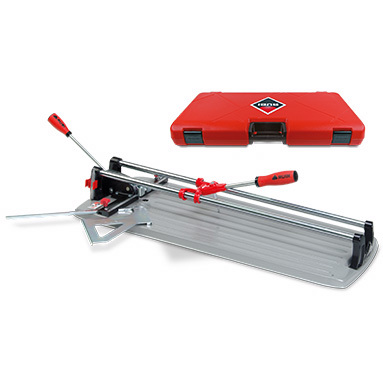 The original Rubi cutter - lightweight & functional, with high performance breaker. New & improved version of the Rubi TS-40 / Rubi TS 40 PLUS. Smart Power progressive breaking system - adaptable to the hardness of each material. Massive 800kg (1764lb) breaking power. 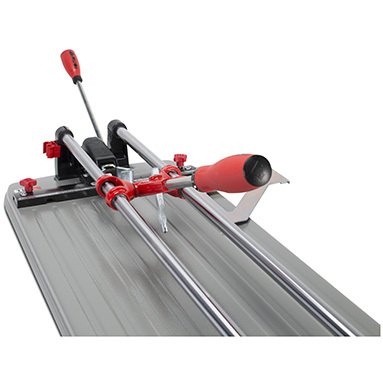 Ideal for intensive cutting of ceramic tiles and frequent cutting of porcelain tiles. With large lateral stop for repetitive cuts and 45º square. Dual chrome plated steel guides, corrosion resistant. Wide base with a bigger support surface for better stability and quality of cutting. Heavy-duty reinforced component parts for superior durability. Max cutting length: 43cm (17"). Max diagonal cut: 30x30cm (12x12"). Grey base version supplied as standard. Orange available on request. Includes: 6mm & 10mm scoring wheels and robust plastic carry case.